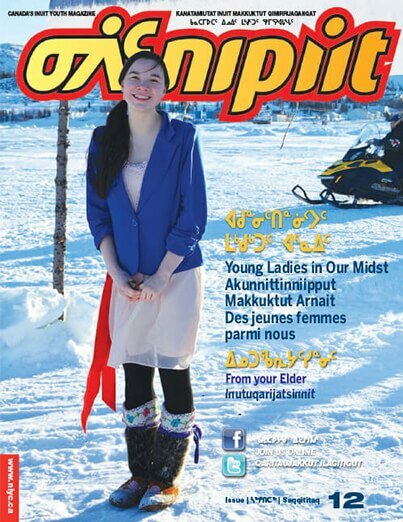 In this edition, we celebrate the leaders from across Inuit Nunangat who sacrificed so much for their families, their friends, and for future generations. We start in Nunatsiavut, where Canada’s eastern-most Inuit celebrated the 10 years that have passed since the Labrador Inuit Land Claims Agreement and Labrador Inuit Constitution came into effect. We join in those celebrations by featuring photos from the path to self-governance and the first decade of Inuit prosperity. To the west of the Torngat Mountains, Nunavik Inuit celebrated the 40th anniversary of the signing of The James Bay and Northern Quebec Agreement. The remarkable story of the struggles faced by the 11 Inuit signatories of the agreement was captured in the documentary “So That You Can Stand”. The film’s producer will share the important story he captured with you in these pages. Inuit in the Western Arctic are bidding goodbye to someone who is arguably the most instrumental figure in negotiating and implementing the Inuvialuit Final Agreement. Nellie Cournoyea is stepping down after 20 years at the head of the Inuvialuit Regional Corporation, the latest post in a trailblazing and unrivaled career. Look for these stories and the latest installment of our Elder Q & A where we speak with our cover star, John Lucas Senior, a Sachs Harbour trapper whose intimate relationship with climate change and its effects are interwoven with his career and livelihood.